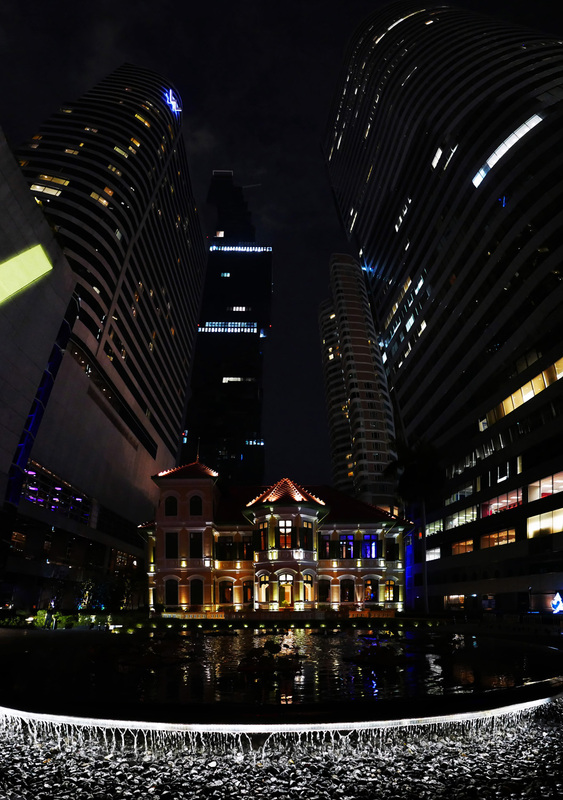 The House on Sathorn sits amongst the modern day giants of Bangkok city almost as though it has been teleported there by time travel. 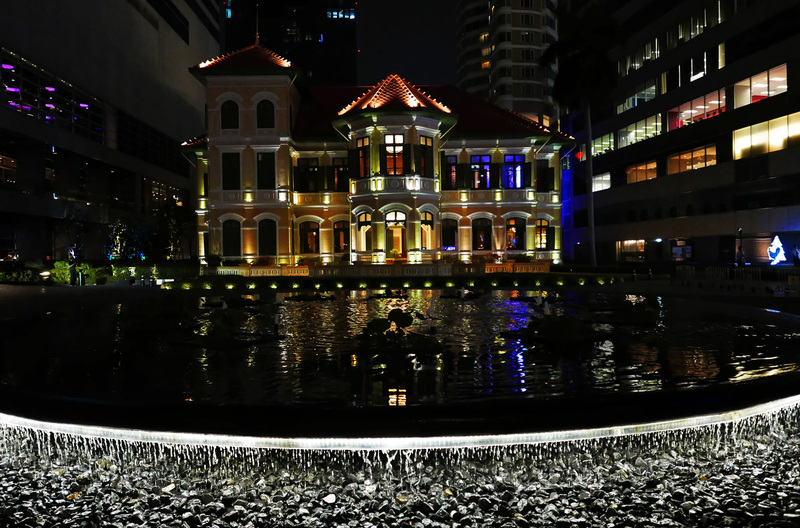 It actually took 3 years to renovate and transform the 127 year old former Russian embassy into what it is today. Obviously such a stunning project requires the best Chef possible and so the management employed Turkish Chef Fatih Tutak , a young , tattooed Rock n roll chef with a great C.V. Marina Bay Sands hotel in Singapore , Noma in Copenhagen and the real big hitter , 3 Michelin starred Nihonryori RyuGin in Tokyo , Japan under his hero Chef Seiji Yamamoto. 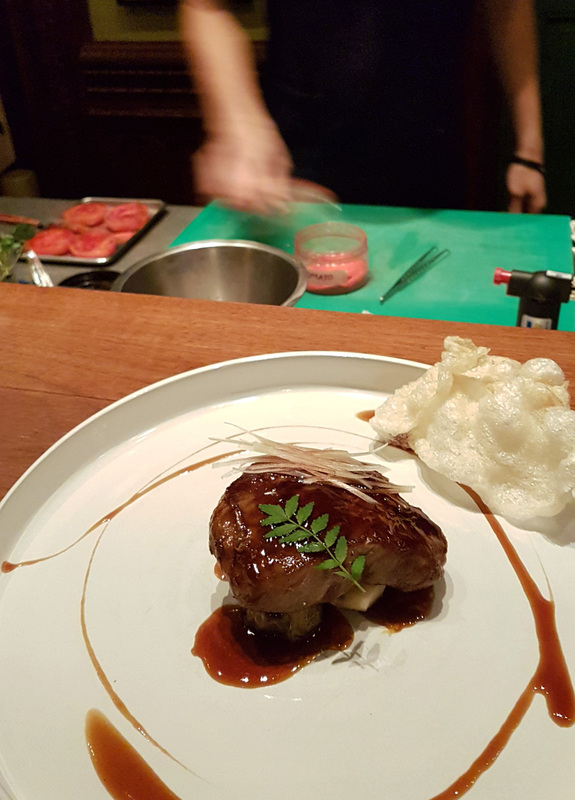 Chef Tutak took us on a journey from his past. It didn`t disappoint. Starting dinner with Snack of the day. IS THE CHICKEN THIEF A FISHERMAN ? 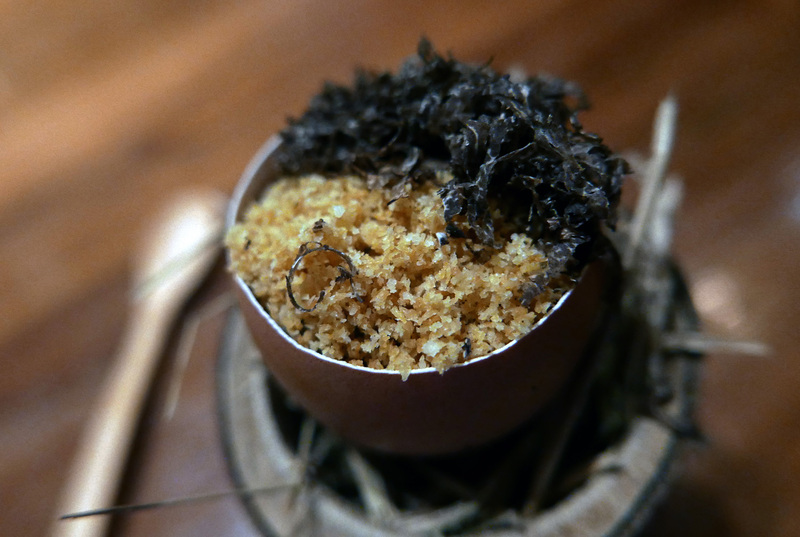 – Soft Egg yolk , grated Black Truffle and Sea Urchin. 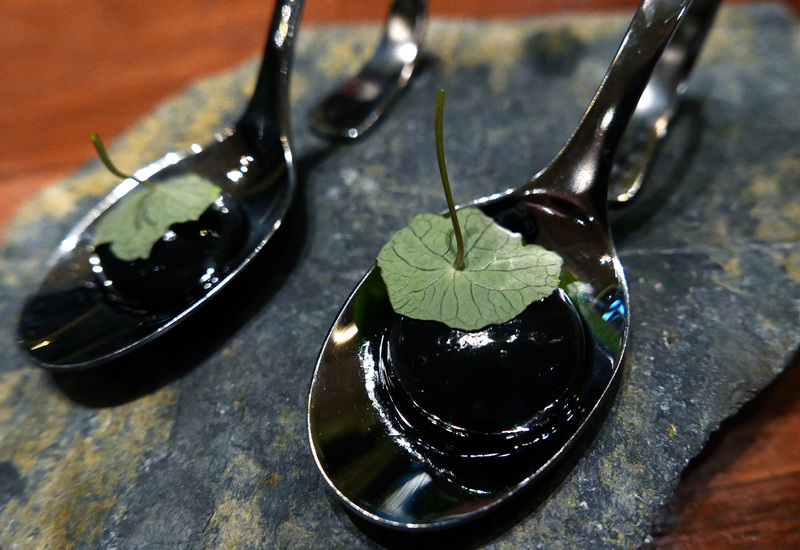 BLACK TRUFFLE BOMB – Peppery Nasturtium leaves and a Spherification containing Liquid Black Truffle. 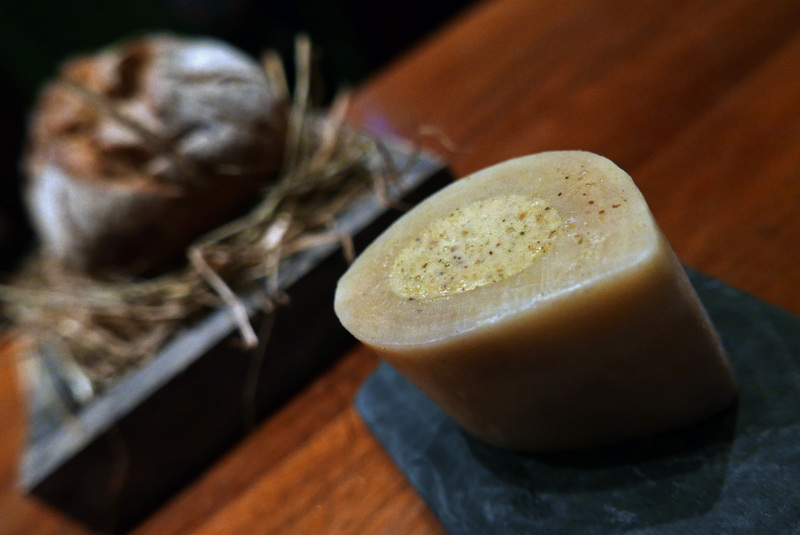 SOURDOUGH BREAD , UMAMI BUTTER – 50% Butter , 50% Bone marrow and Seaweed powder beaten together until delightful. 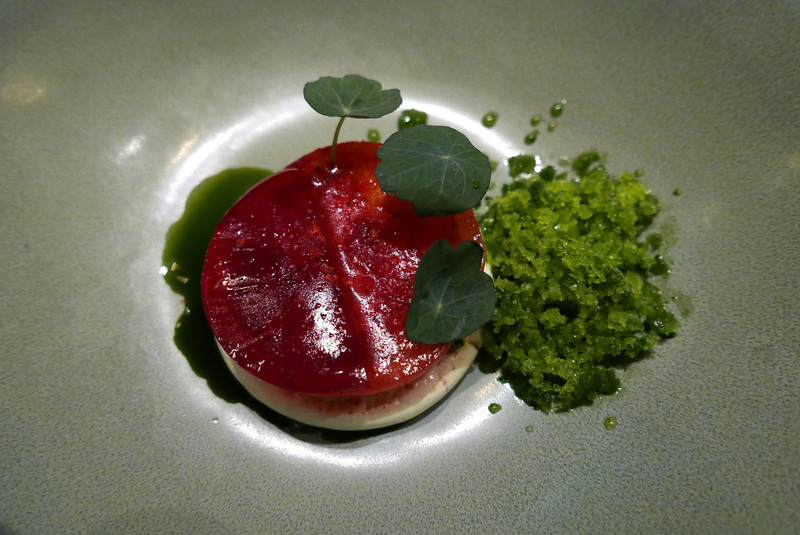 FIRST DISH ON THE TABLE IN MY HOME – Tomato , Turkish Olive Oil , Ezine Cheese , Pomegranate jelly , Parsley . These simple ingredients ended up as my favourite dish of the evening. Refreshing , full of wonderful flavour and an absolute winner over the luxury ingredients that were to follow. 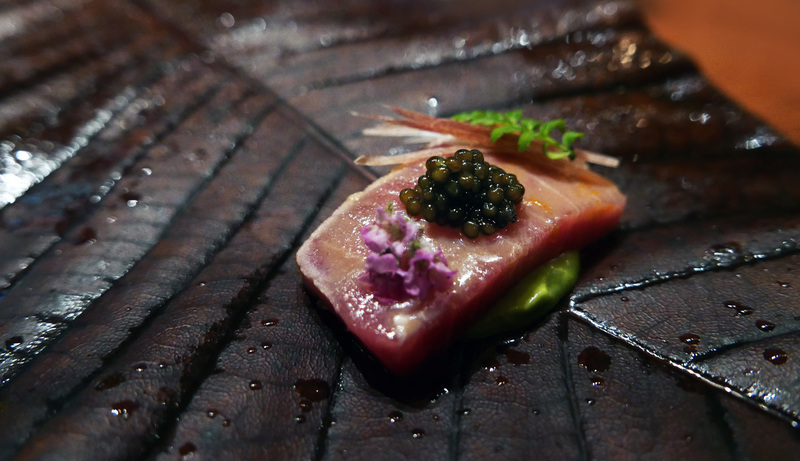 EARLY MORNING AT TSUKIJI MARKET – Maguro Bluefin Tuna , Caviar , Seaweed , Avocado. A new cooking technique for me , Chef used a blowtorch to gently cook the fish whilst a thick piece of Charcoal was held in the middle of the flame to create a smoked flavour to the surface of the Tuna. “SHIRAKO” with Ponzu citrus dressing – O.M.G , I`m feeling queasy as I’m writing this, purely by the thought but not the taste. I wish that Chef had told me on the way out of the restaurant and not whilst eating it. When I came into the restaurant and sat down at the bar I observed Chef washing what I thought were Sweetbreads. He told me it was going to be one of my courses during the evening…..Nice. 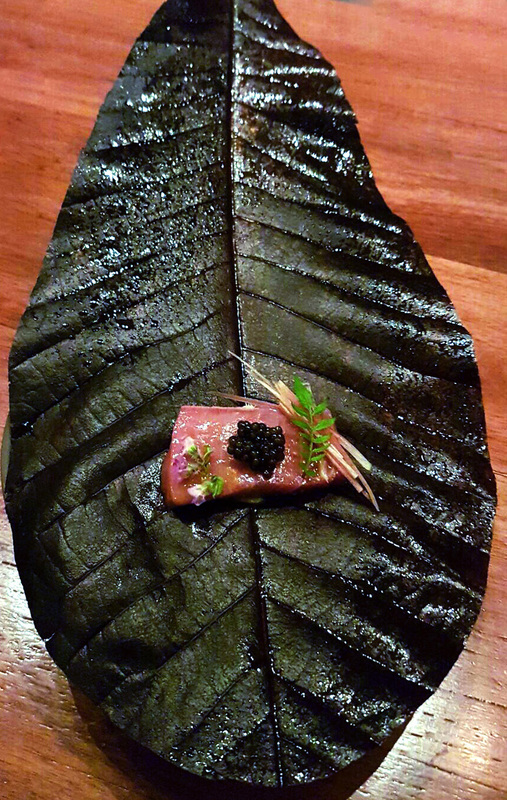 When the dish arrived it looked like a whole Black Truffle and came accompanied by a quality Ponzu dressing, the recipe from Chefs time in Japan. 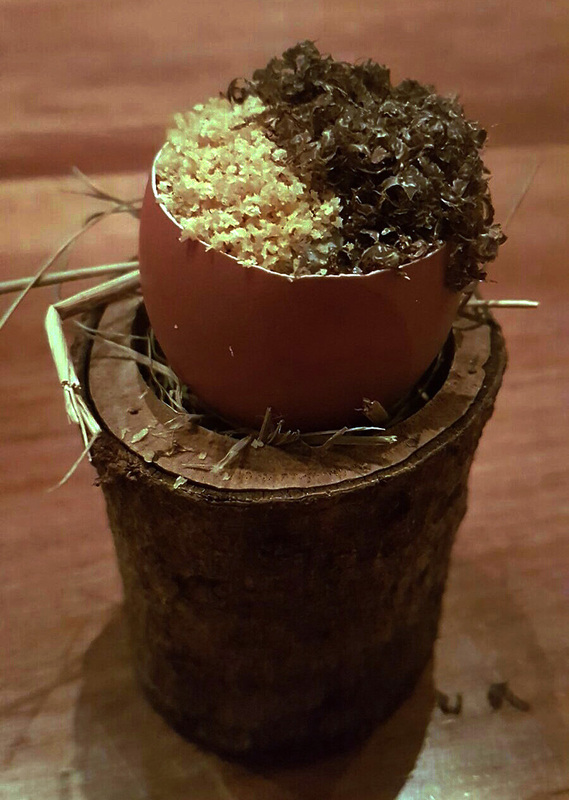 I dipped the “Truffle” into the dressing , bit into it and the warm creamy filling ran out….it tasted quite ok. 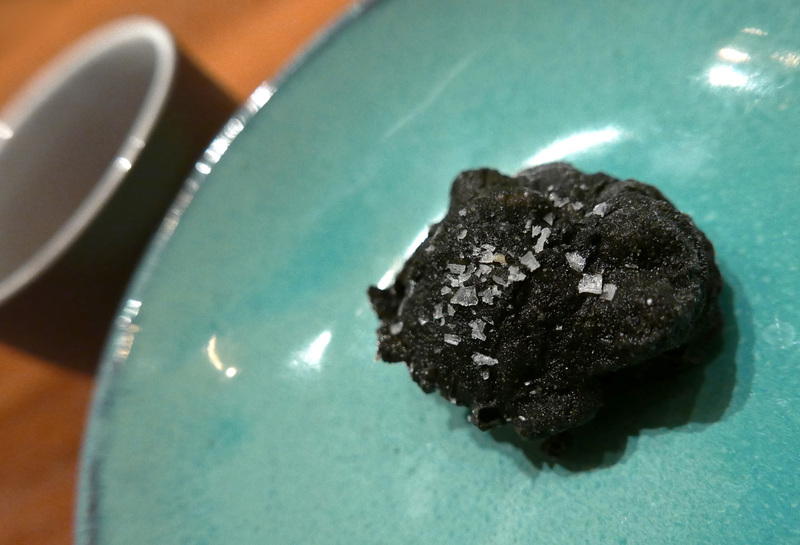 I scooped the rest of the Ponzu dressing up with the remainder of the “Truffle” and eat the lot…..”Hmmnnnnn not bad”. 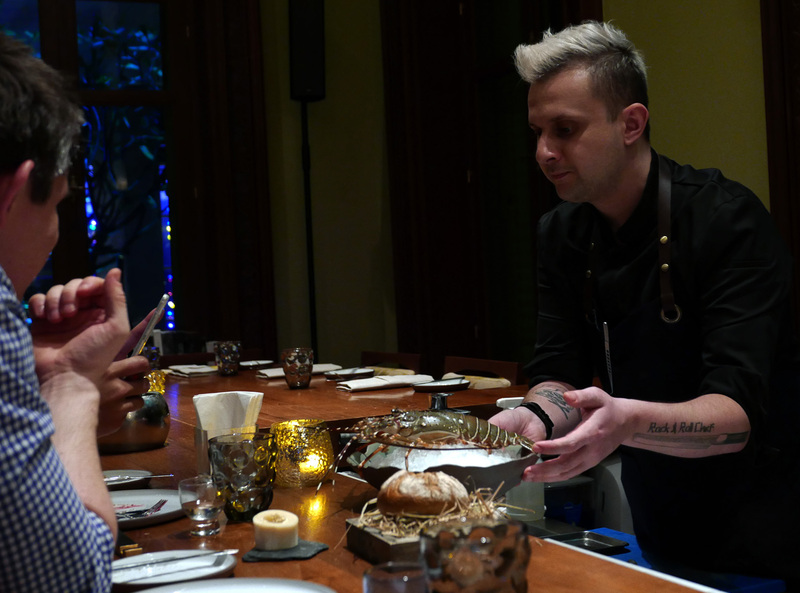 Chef Tutak then asked my thoughts….”Yeahhhh….it was ok….good“. He then told me , “It`s what I was washing earlier…..COD SPERM SACKS….Shirako”. Mr Alan gave a vacant smile and immediately turned a ghostly shade of White , felt instantly sick and spent the rest of the evening tormented on the hotel bed. I won`t eat it again……Ever. Please note that no jokes or puns have been made about a mouthful of hot Sperm during this course description. 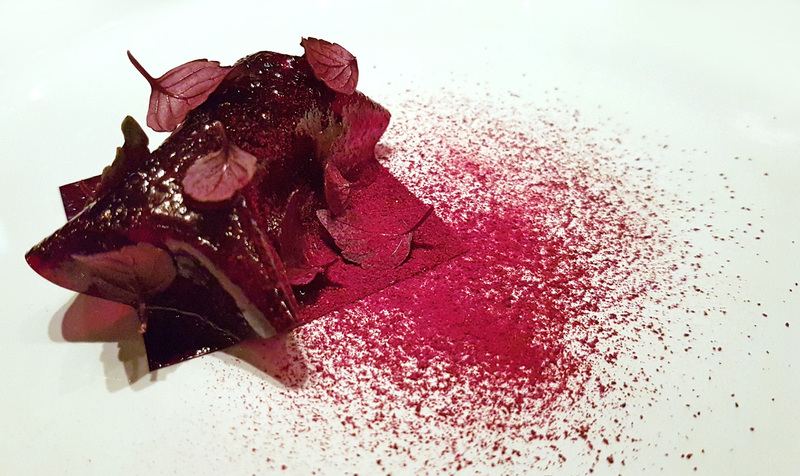 RED PARFAIT – Foie gras , Beetroot Leather , Tapioca. 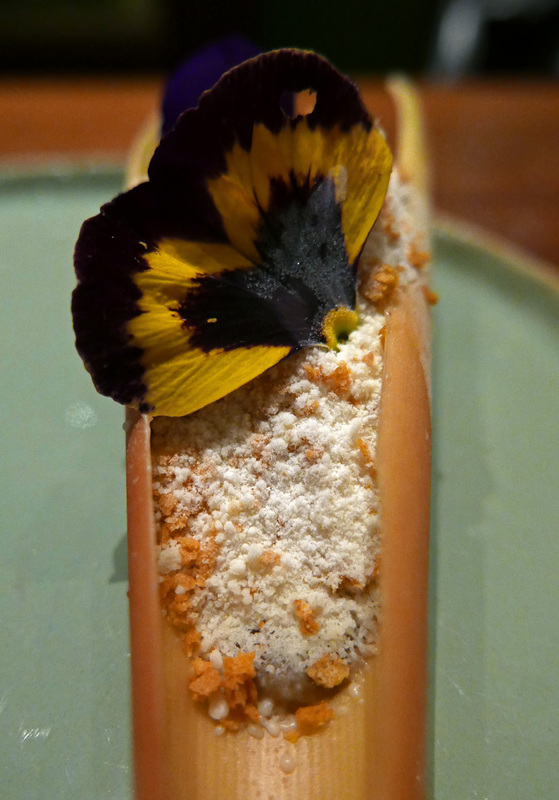 A cylinder of soft Foie Gras Parfait on Beetroot. 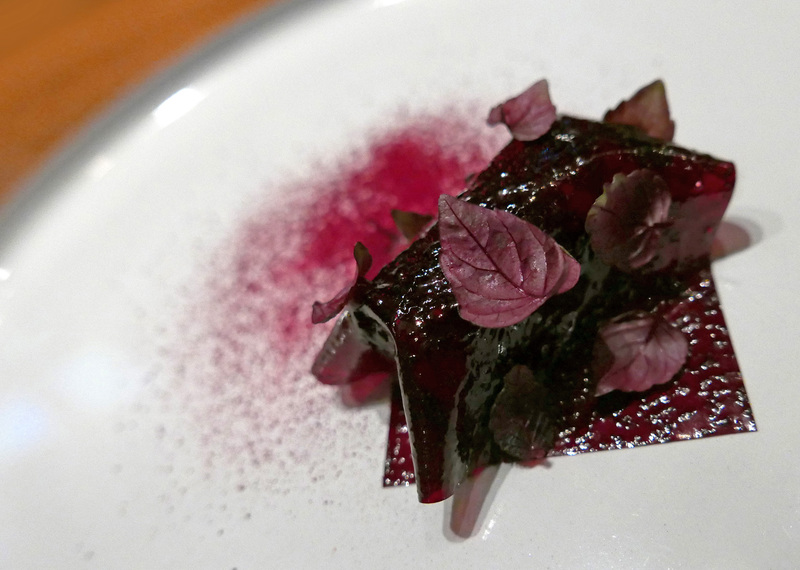 Topped with a rather chewy ( in a nice way ) Beetroot Leather , Beetroot Tapioca , 30 year old Balsamic and warm Brioche. 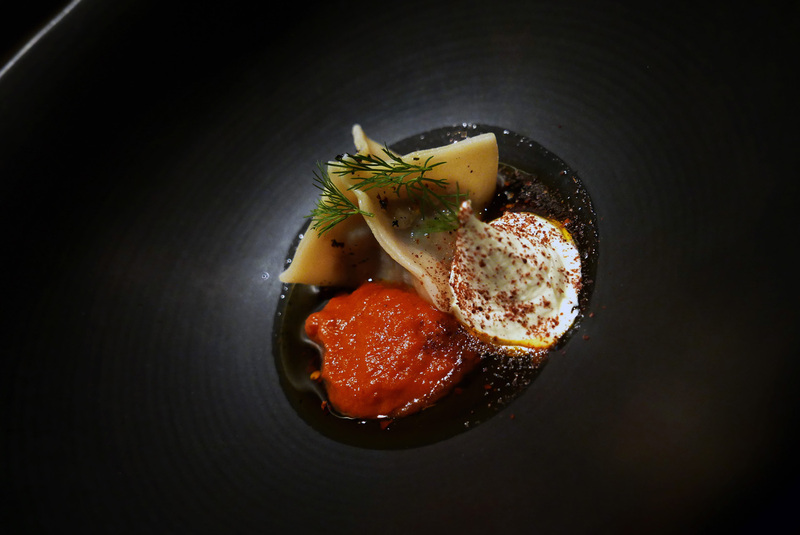 BACK TO MY ORIGIN – Turkish Manti , Grilled Eggplant , Tomato , Kaymak – A really simple dish , a Turkish family basic but then elevated to high end restaurant quality with attention to taste , presentation and detail. Stunning flavours and a wonderful dish with proof once again that the simple stuff works extremely well. The Dumplings are very common in Turkey and made from a ground spiced Lamb mixture with Onions. A creamy Tomato sauce and Turkish Clotted cream ( Kaymak ) really did make this dish into something special. 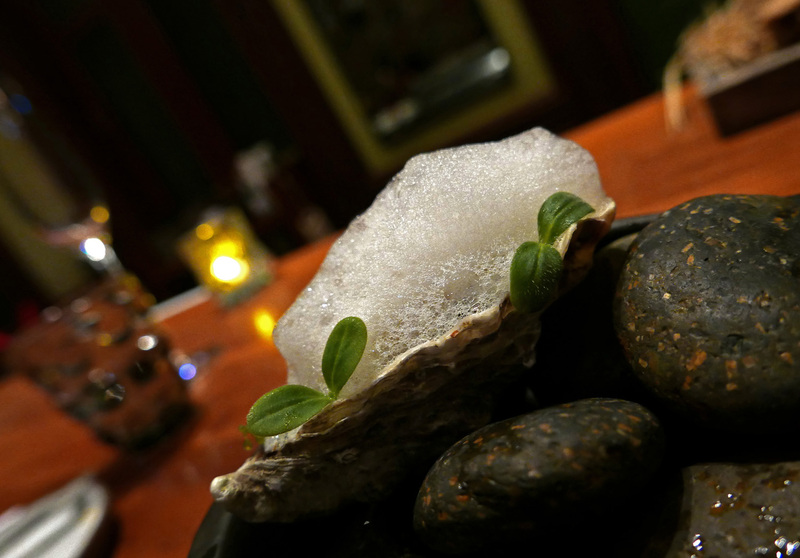 IF YOU TRY TO MAKE RISOTTO ALL ABOUT SEA – Oyster , Salicornia , Sea Grapes , Kelp. 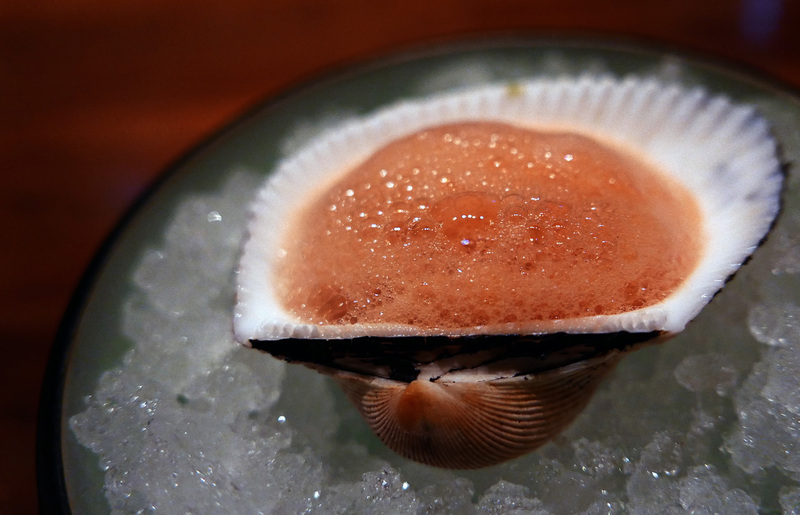 I`m not a fan of Oyster at all but I’ll continue to try them every time I’m given one. I can`t say that it was an unpleasant experience. The Risotto actually contained no Rice at all , I could have sworn that it did. It was actually finely chopped Glasswort (Salicornia) stalks in a creamy Risotto base then topped with the Oyster and a Seawater foam. 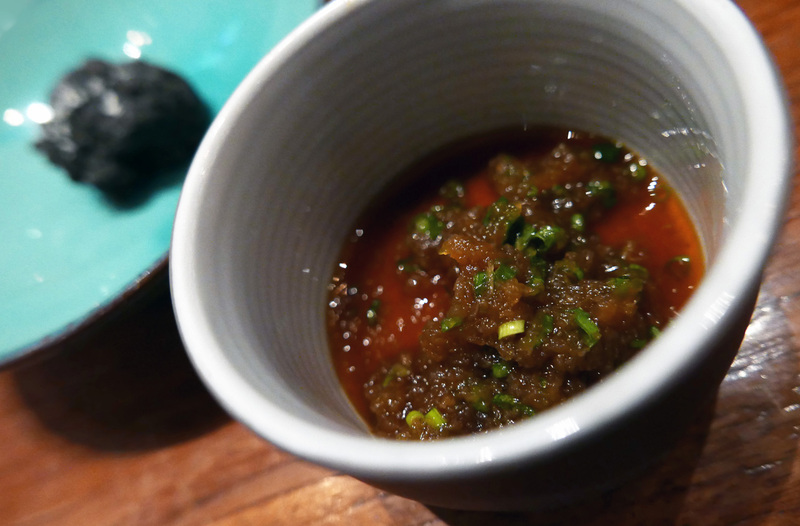 SUNDAY YUM-CHA IN CAUSEWAY BAY – Phuket Rock Lobster , Chayote leaf , XO , Lapsang Souchong Tea. 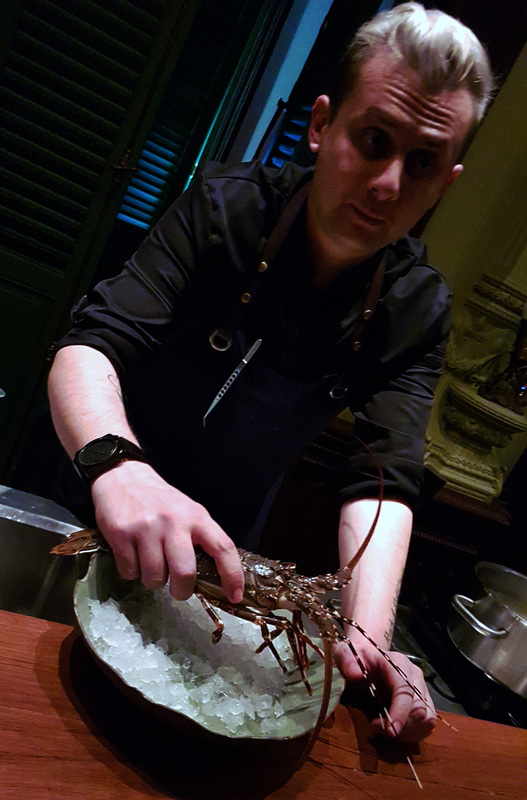 We were presented with this prime Thai Lobster just before serving. 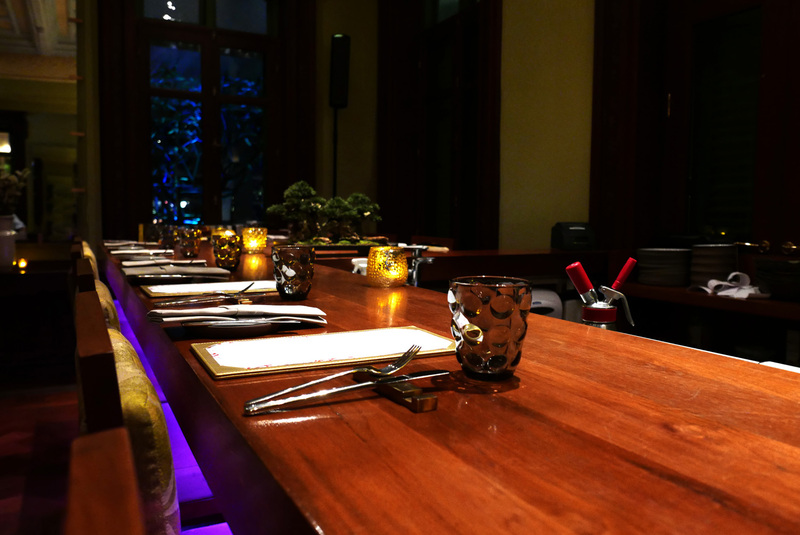 Chef Tutak took great care not to disturb and stress it. 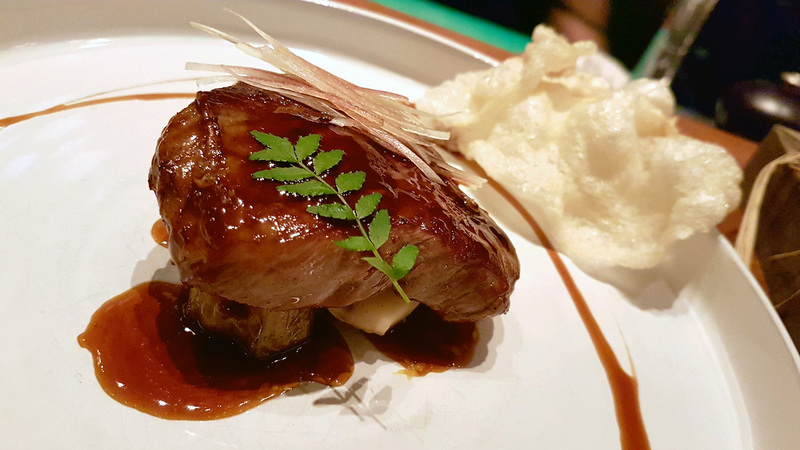 MIDNIGHT SHABU SHABU WITH YAMAMOTO SAN – Miyazaki Beef , Maitake Mushrooms , Tendon crisp and roasted Tendon. My first proper taste of 100% purebred Japanese Wagyu. I have to admit that I didn`t find the flavour any different from the Beef I’ve eaten anywhere else. What I did notice was that the texture was a lot more tender than most meat I’ve eaten before. The flavours on the plate were very bold but nothing dominated the delicate taste of the Beef and only enhanced it. Sticky roasted Tendon and Shabu shabu sauce done the job perfectly. 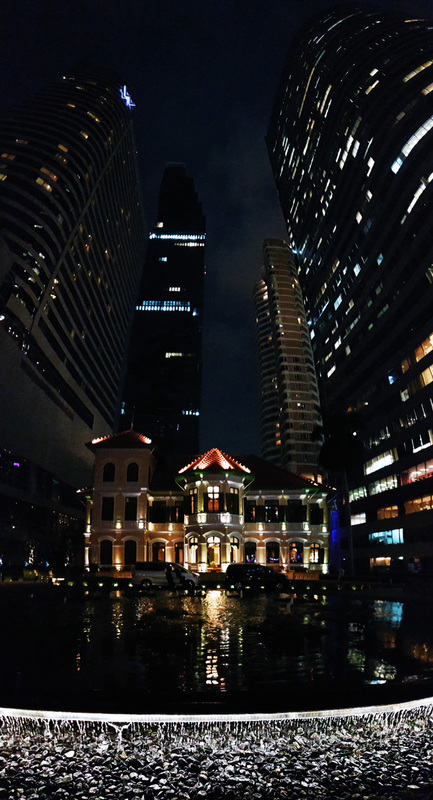 ON MY WAY HOME TO SILOM – Based on a Bangkok street snack of roasted Banana , chefs treat after work. Banana , Toffee , Banana Snow. Sweet Honey Banana grilled / roasted in its skin , concentrated flavours and a beautiful sticky Bannoffee style Toffee sauce. 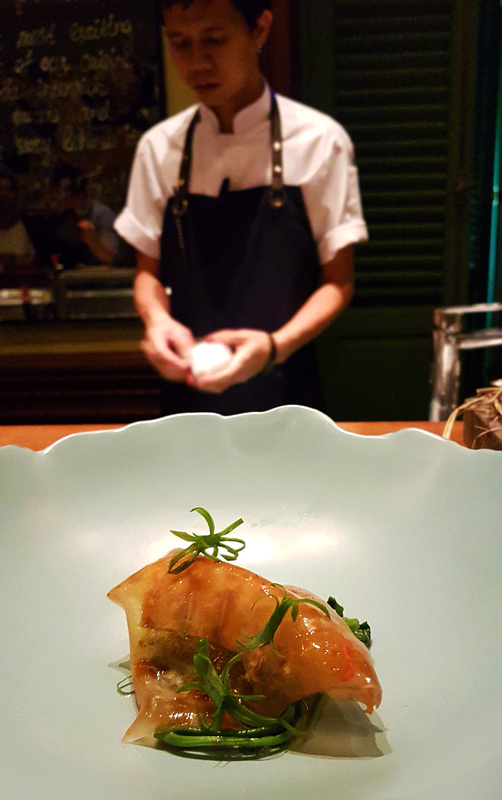 All served up inside a Banana blossom bud. 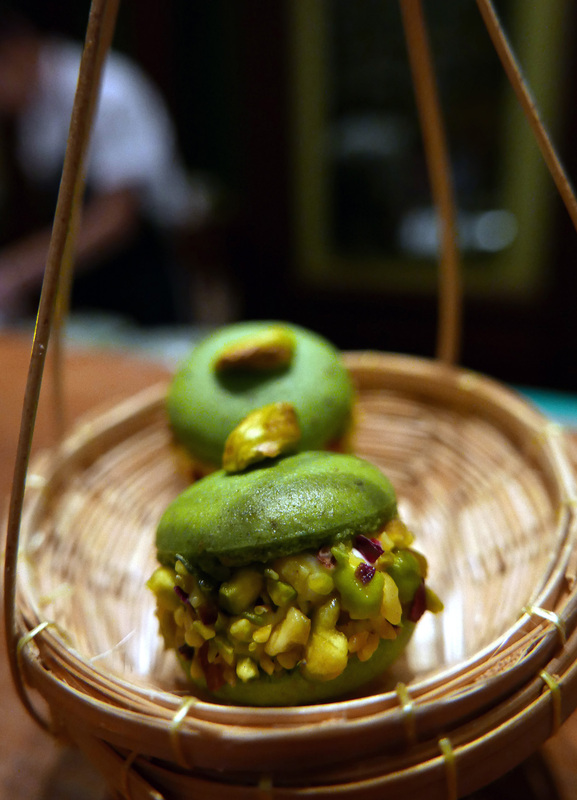 Baklava , Pistachio nut Macaron and clotted cream / Coconut wafers / . 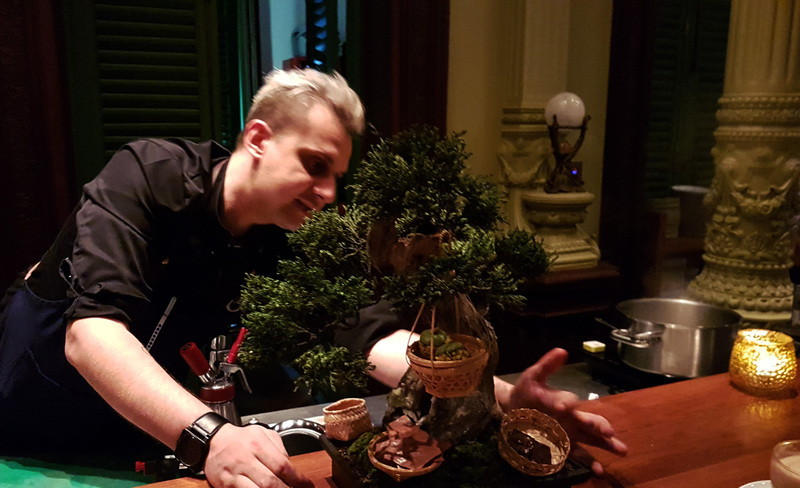 Chef explained that it takes several years to be able to create authentic Baklava , he can`t do it himself so why waste time and effort making an inferior product ? Chef just makes his own version using similar ingredients. Previous Post A Weekend in Valencia , Spain. Next Post Atsushi Tanaka , Paris – Something a bit different in the city. Great article and photography. I’ve always wanted to go to this part of the world, my wife is allergic to nuts so she’s concerned. What was your impression? Do you think it would be a problem? Obvs we’d stay away from the Baklava! Hi there James and thanks for the message. 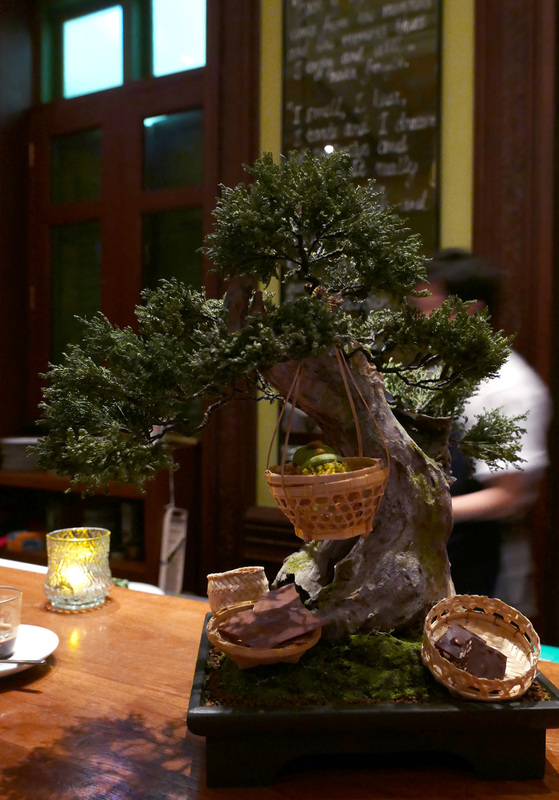 After 45 trips to Thailand I can quite confidently tell you ….YES , there`s nuts in a lot of the food there. Mainly salads but also in many more dishes. I’m taking my kids over at Easter and my son has a mild nut allergy. 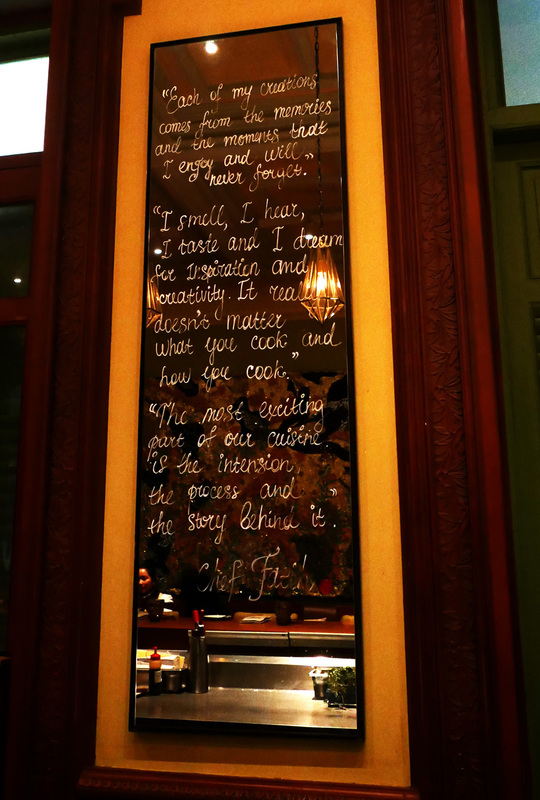 There`s messages that you can print out on Google that you can hand to the restaurant staff. Basically I HAVE A NUT ALLERGY WHICH CAN MAKE ME SERIOUSLY ILL. PLEASE DO NOT LET MY FOOD COME INTO CONTACT WITH NUTS. something like that .